Bring feedback to your day-to-day workflow. 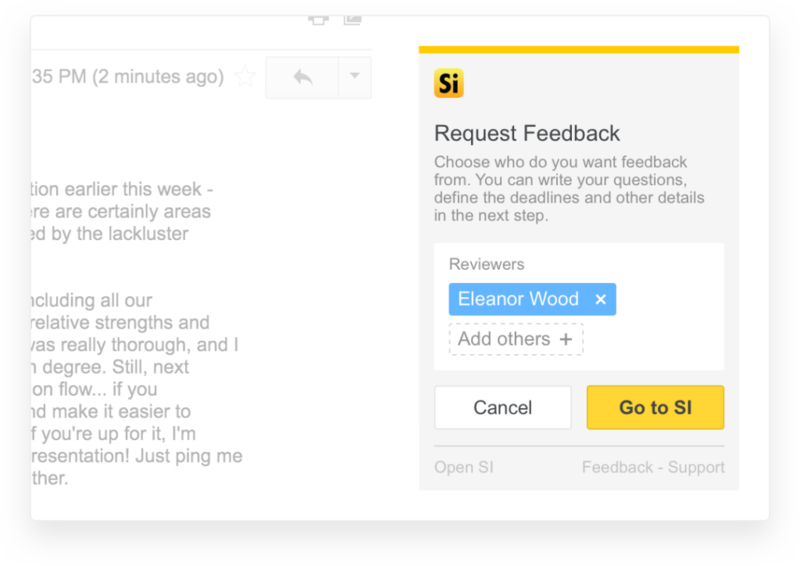 Our new Gmail Chrome Extension makes it easier to integrate feedback to your work day routine – allowing your organization to better foster a continuous feedback culture. 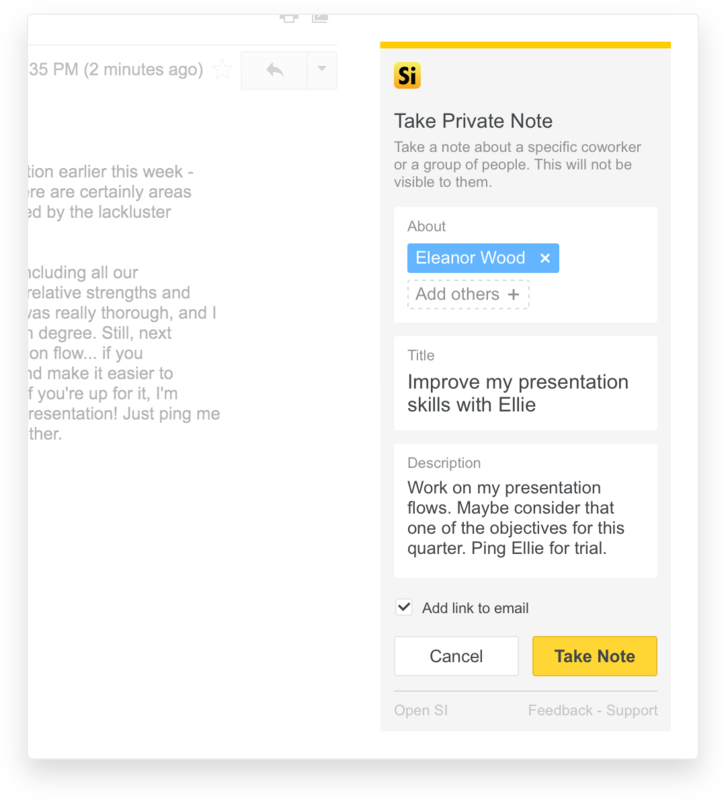 With Small Improvements easily accessible from Gmail, you can now send praise, take private notes and begin a feedback request right from your inbox. This way, every “thanks” or comment is captured in the moment. And every email prompting an additional note can be jotted down immediately to ensure you don’t forget. Did someone connect you to a valuable lead via email? Maybe a teammate sent you resources that helped you wrap up a project faster? 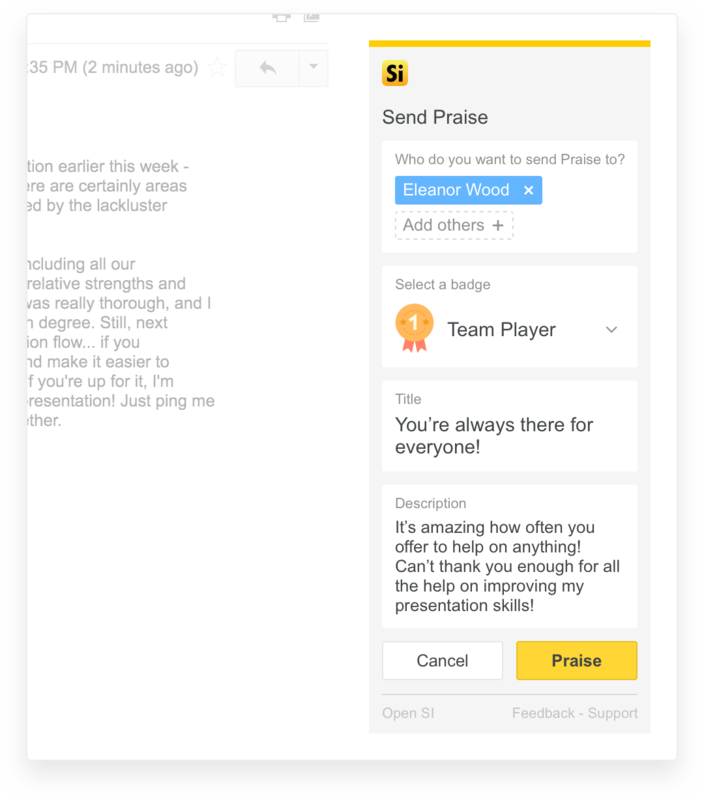 Instead of sending a “thank you” response, take your appreciation to the next level by praising colleagues without leaving your inbox. 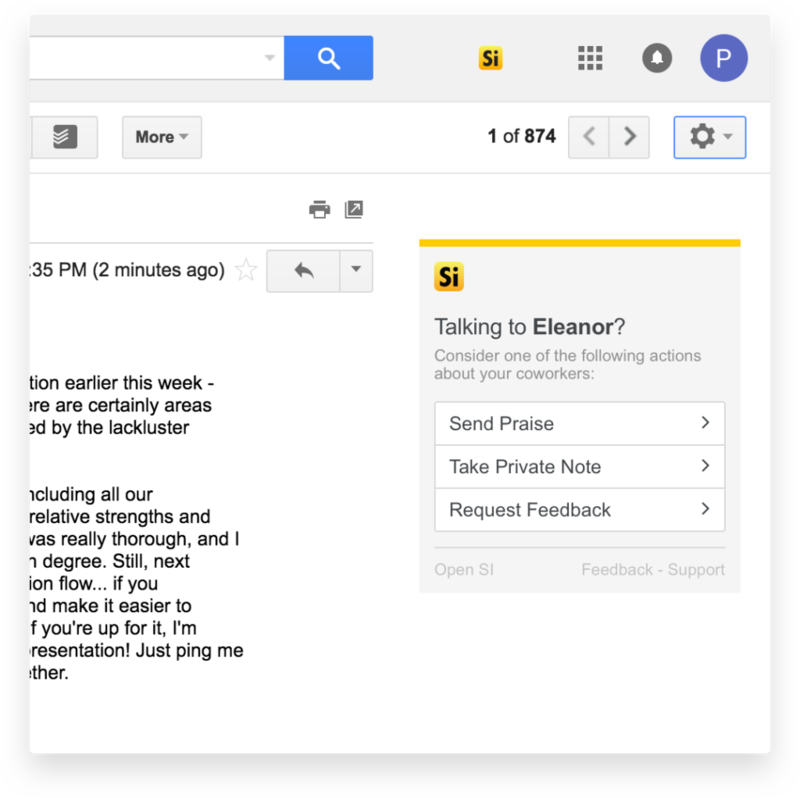 Write thoughts down within Gmail and send directly to Small Improvements. With each private note, you can also include a link to the original email for more context. Not only will this be helpful in collecting talking points for 1:1s, but also make it easier to revisit notes for your next feedback cycle. Our Gmail Chrome Extension makes it easier to kick off a feedback round from where your conversations happen. Just finished a project? Request feedback from everyone involved directly from your email thread. Learn how you can set up the Gmail Integration for your organization. Make sure to check out our complete lineup of features, including 1:1 Meetings, 360 Reviews, Objectives, Performance Reviews, and more. All built to help your employees grow and succeed.